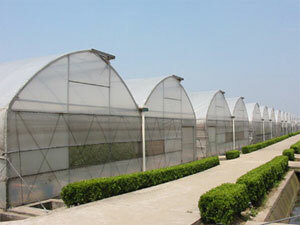 Also offered with our greenhouses is a pad and fan cooling system. 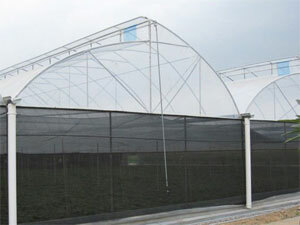 The basic principle behind this is he air inside the greenhouse is drawn out by the exhaust fan, resulting in negative pressure inside, so the dry and hot air will be pulled in the greenhouse by the pressure through the wet cooling pad, and then the air becomes cool after passing the cooling pad. The cool air then absorbs the heat inside greenhouse and then drawn out by the fan and the temperature is then reduced within the greenhouse. The temperature is set via a temperature sensor set up to the cooling system, if the temperature is higher in the greenhouse than set in the sensor, the cooling system will start. 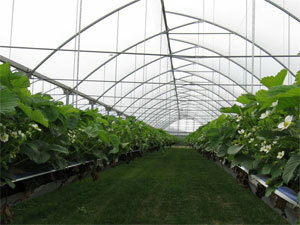 Drip Irrigation systems and Inside Shade Systems are also available for your greenhouse.